There are not many publications dedicated to describing Australia from a bike-rider’s point of view. The list is even smaller if we focus our attention only on recent publications. The selection we are proposing examines books published between 2014 and 2015, to guarantee the reliability of content. 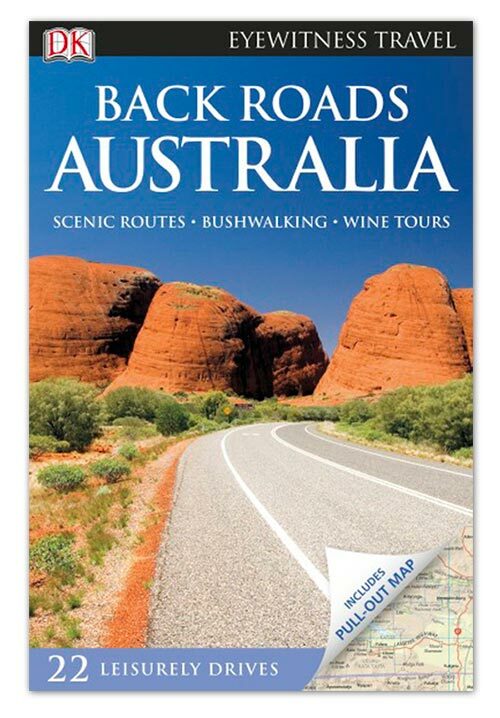 Back Roads Australia guides you through alternative routes and is full of useful information. 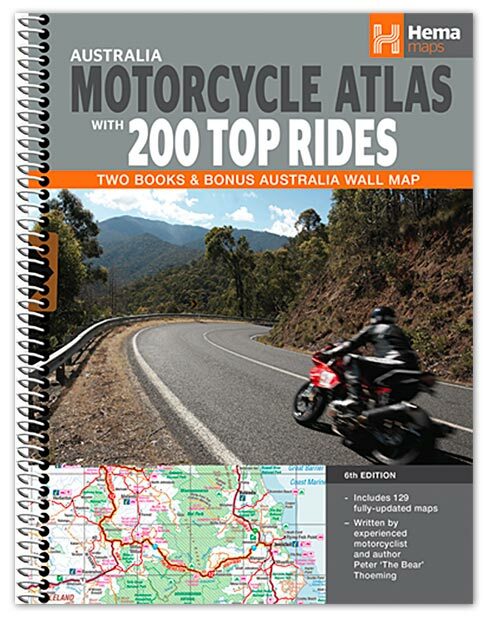 Motorcycle Atlas is the most complete road atlas of Australia. Totally mapped by the publishing house, it is proposed in many versions and has 200 top itineraries. Great australian motorcycle stories is a fun and engaging anthology. A long list of short stories told to the author by bikers who have travelled far and wide across Australia. Back Roads are secondary roads. The roads this book takes into consideration to make you travel along little-known lovely panoramic routes, to make you discover little restaurants, hidden treasures and cosy guest houses to sleep in. The book is of 2014, so it’s rather recent and certainly reliable with regards to the information presented. The information is really comprehensive (covering road conditions, rules, parking, beaches, wine tours, opening hours of the places presented, etc.) All through 22 journeys, each to be done depending on the time at your disposal. Ultimately an unexpected Australia. The guide is in colour and contains a removable map for easy consultation. There is also the data for GPS navigation. The author is not indicated. It’s a rule of the Publishing House, which for this series uses many local travel writers who present first hand information. DK was founded in London in 1974 and is part of Penguin Random House. It’s a publishing group specialised in illustrated books dedicated to all the Countries of the world. Its books are sold in book stores in 87 nations and are translated in 62 languages. DK has various subsidiaries around the world among which are Australia and New Zealand. A very useful spiral bound Atlas. It is actually made up of two books: volume 1 contains the 200 top rides, volume 2 is an actual HEMA (the publishing house) road Atlas, considered by Australian travellers a real best-seller because it contains maps of this entire vast continent. But that’s not all: in the package (protective plastic holder) there is also a beautiful wall map useful for planning the trip before leaving. The 200 Top Rides have been done and described by a rider who is an expert traveller and has a profound knowledge of these territories: Peter “The Bear” Thoeming. The dimensions deserve a note: the spiral binding allows easy 180 degrees opening with a dimension that reaches 380mm of width. Hema Maps is an Australian Publishing house founded in 1983 based in Brisbane, specialised, as we have already said, in mapping the territory: Since 1996 Hema has ‘x-rayed’ over 250 thousand kilometres of roads and tracks in all Australia. The company makes maps in various formats, from the classic foldable paper ones to atlases and guides, to digital products: in its catalogue you can find also gps sat navs and apps for IOS and Android. For those who love off-road, the material they published for 4WD vehicles could be useful… Most of the track can be done with a Maxi Enduro and any two-wheel vehicle with knobby tires. 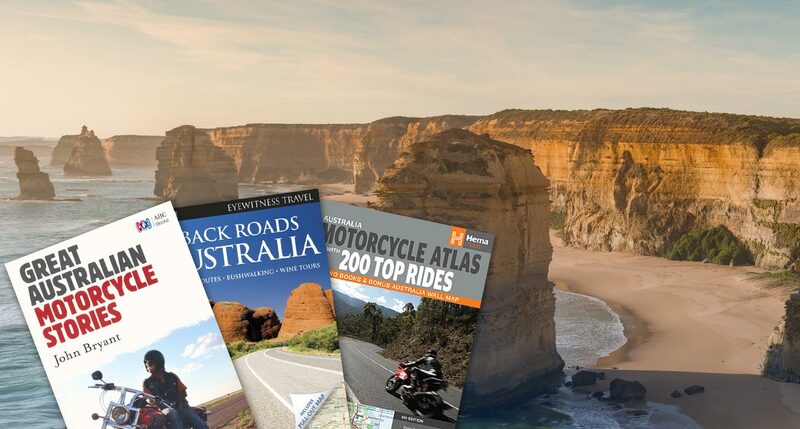 A collection of stories told by passionate bikers who have travelled across Australia. The format of the book is part of a series, which tells stories on different topics, published by ABC Books. 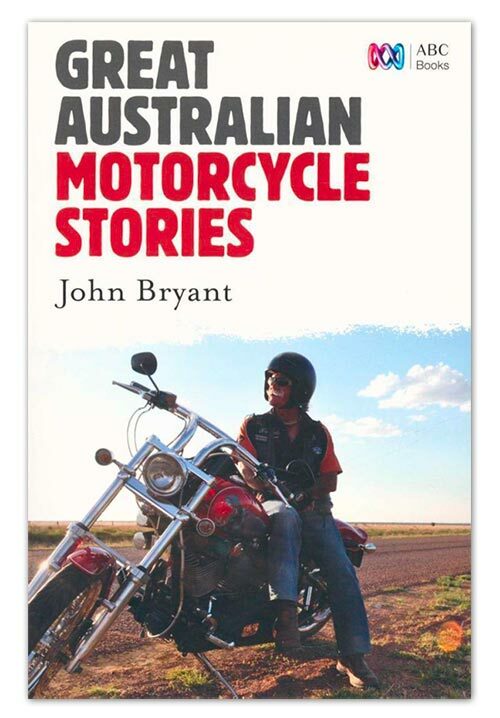 This volume was written by John Bryant and presents, with the great sense of humour of the author, 40 stories which encapsulate the sense of freedom, fun, independence and adventure that only a motorbike can give. No matter how big and powerful it may be. Many of the characters in the book tell absolutely unique anecdotes and travel stories, obviously always connected to the Australian continent. John Bryant is an expert biker: in half a century he has owned and ridden practically everything: mopeds, scooters, trail bikes, sports rockets [non ho capito bene i razzi sportivi cosa sono…], cruisers and Tourers. His adventures on 2 wheels have taken him to the volcanoes of New Zealand, through the prairies and deserts of the United States of America and in many other parts of the world. Here though the story is of secondary importance, and the word goes to the many characters met in his land. ABC Books is based in Sidney and publishes jointly with HarperCollins Publishers Australia. It is committed to promoting and developing Austalian literature through a vast range of topics.